Looking for the perfect gift? 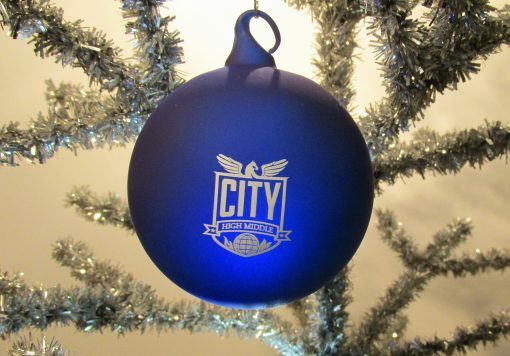 It might be this beautiful, hand-blown glass ornament is a rich cobalt blue and features the City logo in white. This beauty has a sandblasted finish and arrives in a clear plastic box. All proceeds fund the Senior Grad Night event. Pick-up is available in the attendance office.